Can Ataklı, a journalist from Sözcü Gazetesi, said in his column that he had recently met with a former officer and asked him if Fethullah’s agents were in the Turkish army. 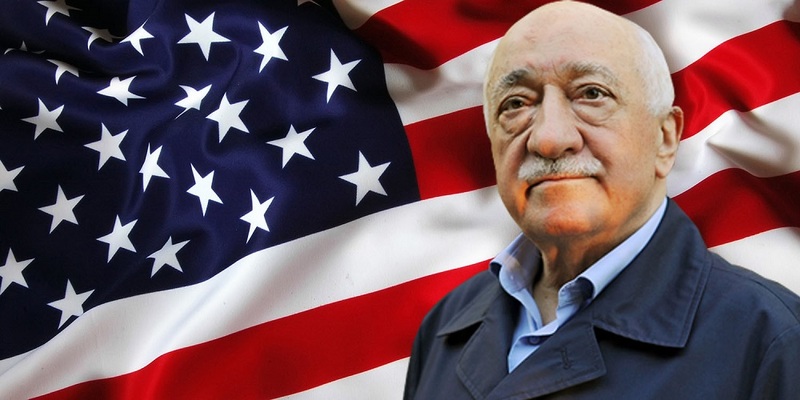 (Fethullah Gülen is the co-founder of Nur Movement, lurking in Pennsylvania (the US); this sect is in opposition to Erdogan). He said that the Nur Movement had been within the army for the long time, despite the repression, it had strengthened its positions. When Atakli asked the officer about the rumors that the Russian pilot had been shot down by Fethullah’s pilot, he reminded Atakli that he had previously written about it. The following is an excerpt from the Turkish author’s article. “I remembered that he wrote an article on this issue. It was entitled: “The Palace established its viewpoint, but the Pilot Decided to Shoot Down the Russian Plane himself.” The officer said to me that he was the first one to say it, before the prime minister was said to have ordered it, or that the Turkish air forces decided to do it. The president made a hint that it was the pilot’s initiative. I think that he wanted to say it. Then the journalist said that he found the document mentioned by the former officer. The document states that the tension between Erdogan and head of the Ministry Necdet Özel appeared after the Turkish aircraft crash in Syria on June 22nd, 2012. Six days after, the US Embassy sent a dispatch to the center via e-mail, which spoke about the tension between Erdogan and Necdet Özel; Wikileaks published the document. The US Embassy said to the Department of State that Necdet Özel insisted on the invasion of Syria, and that about 400,000 solders were ready to initiate the intervention. But Erdogan resisted, saying that NATO would be furious. The message said that Erdogan doesn't want to clash with Russia, and NATO wouldn’t give their approval. It also said that Erdogan is anxious about Abdullah Gül, who controls the higher commanders, and if he allies with Necdet Özel, Erdogan will be forced to resign. The journalist said that, after analyzing all the facts, he concluded that Fethullah’s pilot shot down the Russian aircraft. A Coming war with Turkey?